This facility is used for research and development for next generation avionics and cockpit development, flight handling, air traffic and ground traffic control systems. 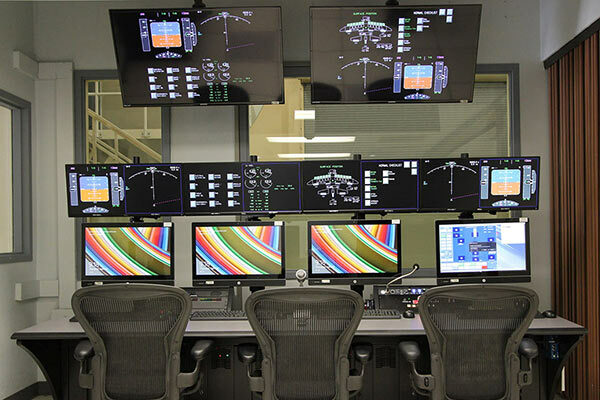 A highly customizable, reconfigurable aircraft simulator was required to improve workflow and system efficiency. RGB Spectrum’s matrix switchers, multiviewers, and other equipment were installed to provide quick and reliable routing of signals to the operator and supervisor consoles. “We have used many RGB Spectrum products over the years. RGB Spectrum’s products are rock solid for our mission critical applications,” Daniel A. Wilkins, Sr. Systems Engineer.